If you ever think that you are born to eat, then you must add salsa in your life before your taste buds goes off. If you go over its literal meaning which is “Sauce”, you may underrate it but if you believe us it should not be underrated by what it means. It’s purely a delicacy that adds flavour to your tongue and to the life. It’s healthy, nutritious and good for your health. But every salsa does not add value to your appetite when it goes beyond expiring date. You must pay attention to shelf life of salsa. Does Salsa Go Bad? How Long Does Salsa Last? How Long does Salsa last in the Fridge ? How to Tell if the Salsa Has Gone Bad? How to Store Salsa Properly? Salsa is a type of sauce typical of Mexican cuisine. It is also known by other names as salsa fresca, hot salsa or salsa picante. Many of them use it as dip. Salsa is generally used to add spice to main course or several dishes. Ingredients generally used for salsa preparation are tomato, onions, chilies, and herbs. It can be served as per consumer requirement ranging from mild to hot salsa. Aztec, Mayan and Inca Indians were the real originator of salsa. They would mix tomatoes with chili and other spices together to add more taste to their food. The soil found there was rich in minerals for growing tomatoes. In 1571, the Spaniards use this sauce as a spice with turkey, venison, and seafood. This combination was later named salsa by Alonso de Molina, Spanish priest and missionary. Since then, it has expanded over hundreds of years. Now they are available in bottles too. The market of salsa has now distributed all around the world. Taste of salsa varies on sort of chilies used in as indigents in order to achieve a better taste. Verities of chilies are well-mixed together, which provides required level of spiciness. Surprising, salsa does go bad. The time may vary form home made to one bought from stores. It may also vary from opened jar to unopened jar. A home-made salsa is usually prepared to consume it within a short span of time. Shelf life of home-made salsa depends upon the ingredients used such as spices, amount of vinegar and so on. A home-made salsa constitutes less preserving agents as compared to bought salsa. 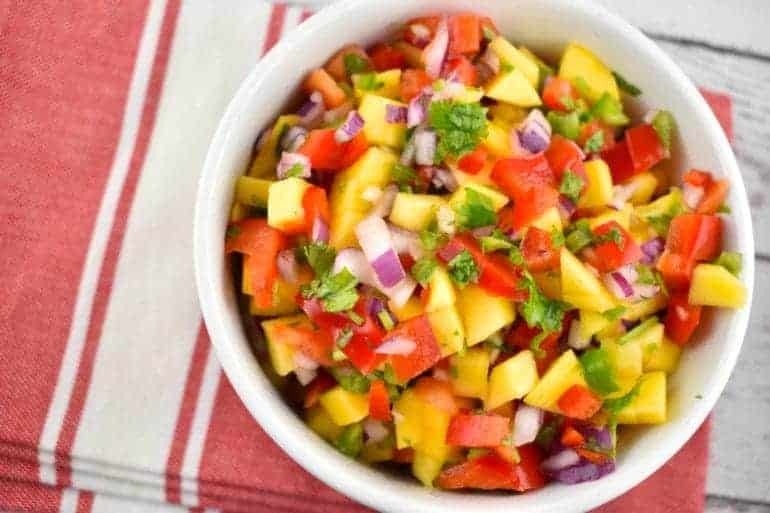 If a home-made salsa is covered and refrigerated too then it can last long for four to six days depending upon the ingredient used and precautions taken while its preparation. Shelf life of salsa can also be extended by freezing it. But this frozen salsa cannot be used as dip or sauce anymore. It can only be used as one of the ingredients in other recipes to add flavour to them. The taste of salsa may also tend to differ once it is kept to freeze. A store bought refrigerated salsa shelf life is a bit longer than home-made salsa. They usually contain many preserving agents to extend their shelf life. An Unopened container with the airtight wrapping along its lid and persevered in refrigerator can last long for two weeks or slightly more than it. An airtight and unopened store-bought commercially salsa can stay fresh without refrigeration for over a year. They should be stored in a cool and dry area. These salsas are made up of a lot of preservatives to keep them away from spoiling for a prolonged period of time in pantries and on shelves. Once opened, these canned salsa last for long time a month and sometimes more. 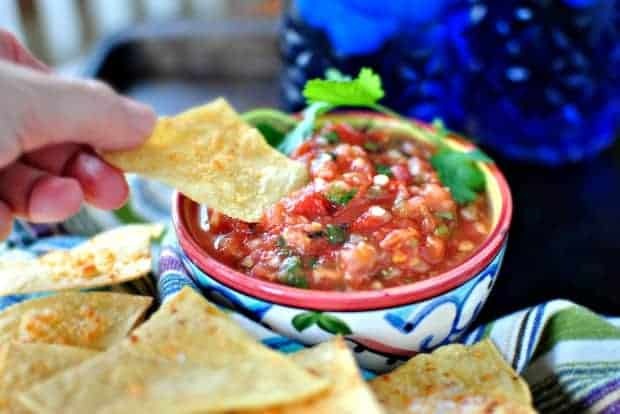 It is suggested not to freeze salsa for more than two months, to retain the best taste of salsa. Its taste may change or say a quality of taste may not remain as it is over a period of six months. The World Health Organization says precautions must be taken while preparation and storage of salsa. Since many potentially dangerous bacteria can spoil your health, especially when unrefrigerated. It mainly depends upon storage conditions or temperature to maximize the shelf life of opened salsa. It must be tightly covered. It also depends on the salsa, how acidic and salty the salsa is. It also depends whether a salsa is of fermented type or not. Salsa that has been refrigerated could be kept for about 2 months without any changes in taste or quality, if stored properly. 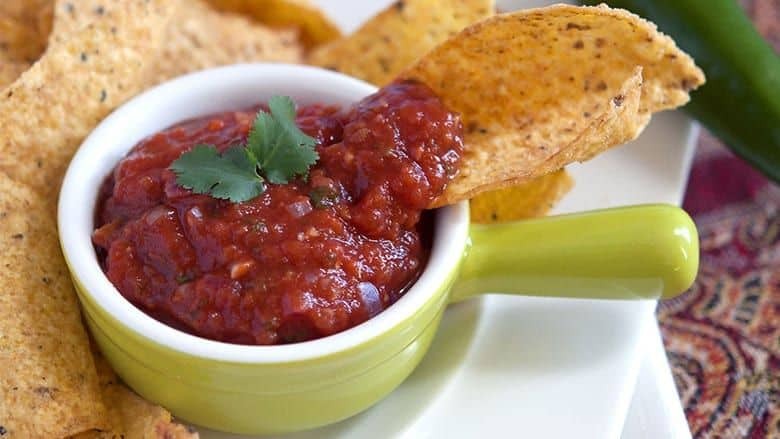 Once salsa is opened, it must be refrigerated in airtight or covered glass jar or plastic container. To further extend the shelf life of opened salsa, freeze it. But don’t use it as a dip. Handling also matters a lot, in case it is opened. The salsa is effectively sterilized before you open it. But once bacteria are introduced to it, it may get to spoil soon and faster. A salsa jar kept into the fridge immediately after pouring out into a bowl for a dip will last for a couple of weeks. But a jar that is placed on a table for a couple of hours can go bad in a couple of days. Now you are aware of shelf life of salsa whether it is home-made, refrigerated or commercially canned bottles. It is very important to be aware because a spoiled salsa will directly affect your health. You must Practice food safety techniques and adopt proper hygienic habits. It will result in preventing any foodborne diseases. There are always health risks attached with spoiled foods so adopt food safety techniques and enjoy your foods without affecting your precious life. If you notice any of the following symptoms of spoilage, it would be better to throw it instead of consuming it. This can help you to prevent foodborne illness. It is not necessary that you will able to notice all the following symptoms all together. The best way is to use your senses, smell and look at the salsa if the colour, or texture, or smell of a food changes from its original state then it is a signal to throw away your salsa. If colour of the salsa changes from bright red to dark maroon. It is time to discard it off. If you have a distinctive smell, and it emits a rotten, foul smell compared to its original smell, it needs to be thrown away. 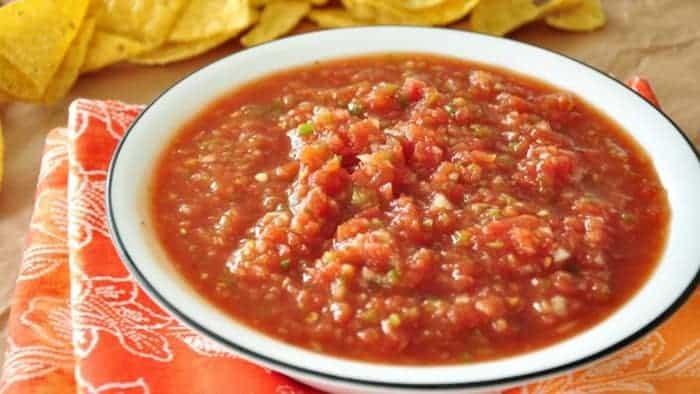 If you can observe molds or cavities on the surface of salsa, you need to remove entire salsa. If the salsa has blue-green patches all over and had turned into mushier, needs to trash it. If its tomato pieces becomes darkened signifies salsa gone bad. The appearance of the salsa turns to be thicker. Tells about bad salsa. If it tastes extremely acidic and tangy, it’s time to remove it off. Always notice the expiring date of the product before consuming it. In case you still feel the salsa taste good, but expiration already exceeded. Please just don’t consume it, as it’s a matter of your health. In 2010, a paper on salsa food hygiene emphasises refrigeration as "the key to safe" sauces. It also describes how fresh lime juice and fresh garlic is used for preserving product. The best way to store homemade salsa is by preserving it in the refrigerator which we keep for fewer days. Adjust the temperature of refrigerator to prevent spoilage. You should not transfer store-bought salsa to another container as its original packaging is meant for preserving salsa for long time. Refrigerate your salsa in an air tight container. Freeze it in heavy-duty freezer bags at 0° F for the best quality. The taste of salsa might change over 2 days. But, the salsa will last longer. 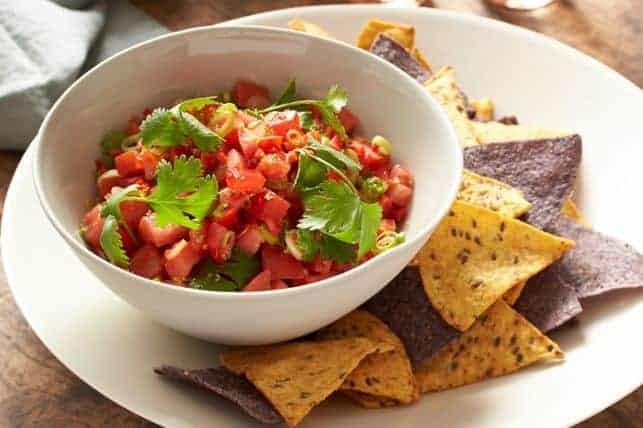 You can prepare the lacto-fermented salsa to extend the life of salsa in the refrigerator for a few more weeks. You are required to add strain yogurt through the cheesecloth to salsa. After that, put it at the room temperature. But you need to remember to use all fresh ingredients. You can also divide homemade salsa into different parts; then you can use any part leaving other parts untouched. Some other precautions to be taken while preparing and storing salsa. Wash your hands thoroughly before handling ingredients. Make use of a serrated and good quality knives for chopping. The most important step is to sterilizing jars and lids. Roast chilli which will enhance the flavour plus adds life to salsa. Roast the peeled tomatoes in a non-stick and non-reactive cookware on high heat till it gets blackened. Boil all ingredients in a huge uncovered container for 10 minutes. Blend salsa to make it smoother. Add some vinegar if it is too sweet. Leave half inch of space on top in canning jars. Clean the rims carefully by paper towel. Boil the jars in water bath for 20-25 minutes. Let jars to get cool. Now you are aware that salsa does go bad. Its shelf life differs depending on whether it is a homemade, commercially packaged or unrefrigerated. Also tell you different signals of spoiled salsa. This article will help you to learn more methods of preserving it. And the importance precaution while storing salsa. At last one should pay attention towards expiring shelf life of salsa, as it will directly bring affect to your health. Tracey, thanks a lot for the post.Really thank you! Much obliged.